Having Betty’s on my doorstep can prove to be very handy when taking a visiting friend who hasn’t been around Yorkshire before! The perfect place for Afternoon Tea with a wide selection of cakes and biscuits alongside many hot and cold drinks. My favourite? Their Latte, with a Chocolate & Passion Fruit Cube of course! Sponge cake in Marzipan flavour filled with Buttercream that come in the form of these cute little pumpkins! 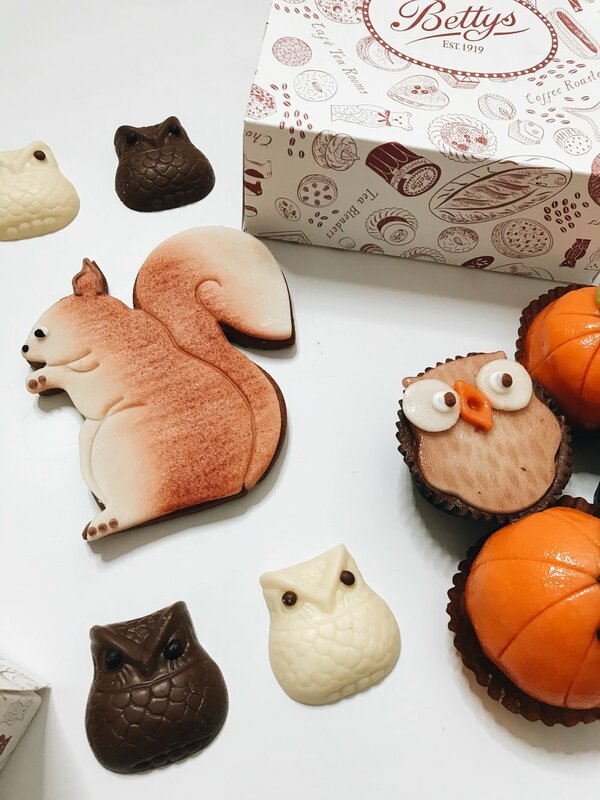 A biscuit that is decorated with Marzipan flavour that comes in one of my favourite Autumnal animals, a squirrel! 4 chocolate owls that come in both milk & white flavours. You can also view their newly released Christmas range here too! 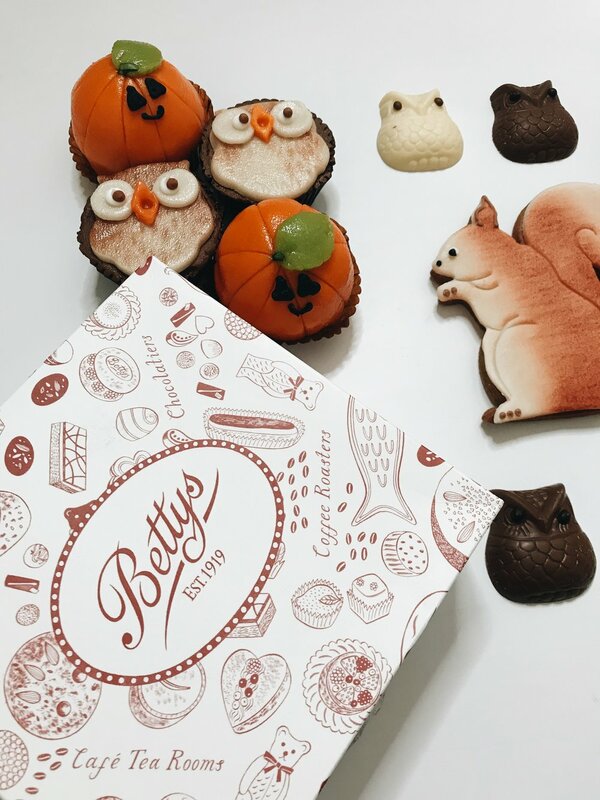 Have you visited Bettys before? Which cafe did you visit? What did you order? 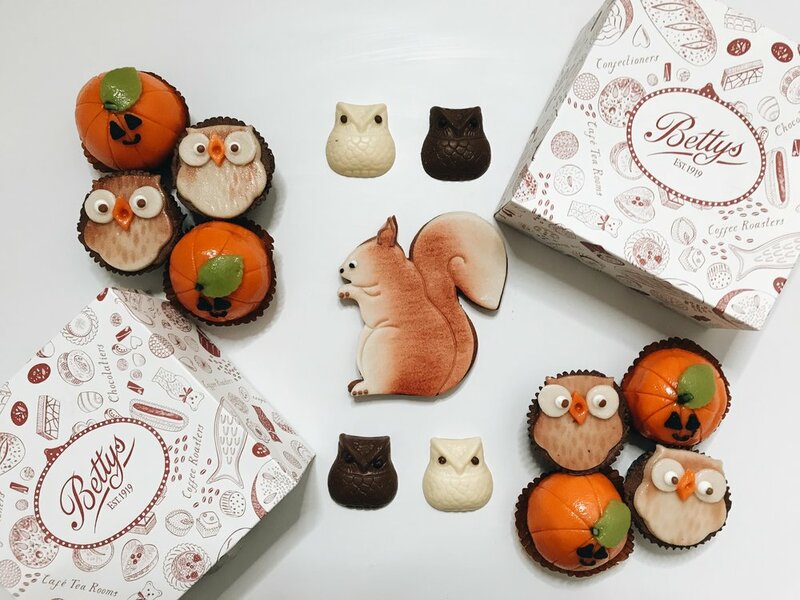 Will you be trying out any of these Autumnal Treats? Which of these sounds most appealing to you? Don’t forget to click the ‘like’ button below and let me know your thoughts as I would love to hear from you!